Click button below to pay with Paypal or credit card. Terms: Minnesota residents add $2.76 sales tax per book. 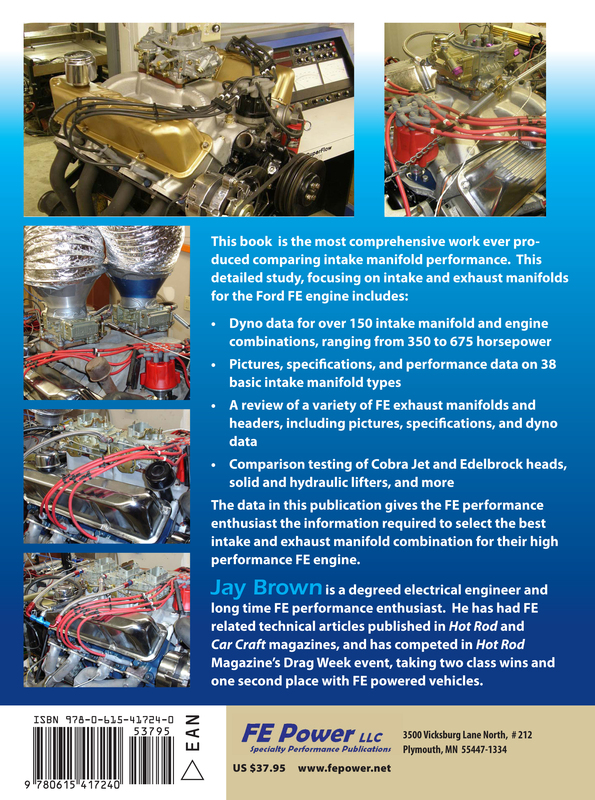 Shipping via USPS Priority Mail is $7.65 per book to US addresses, $23.95 per book to Canada and Mexico, and $33.95 per book to other countries. Personal checks allowed 7 business days to clear before books will be shipped. All sales final. 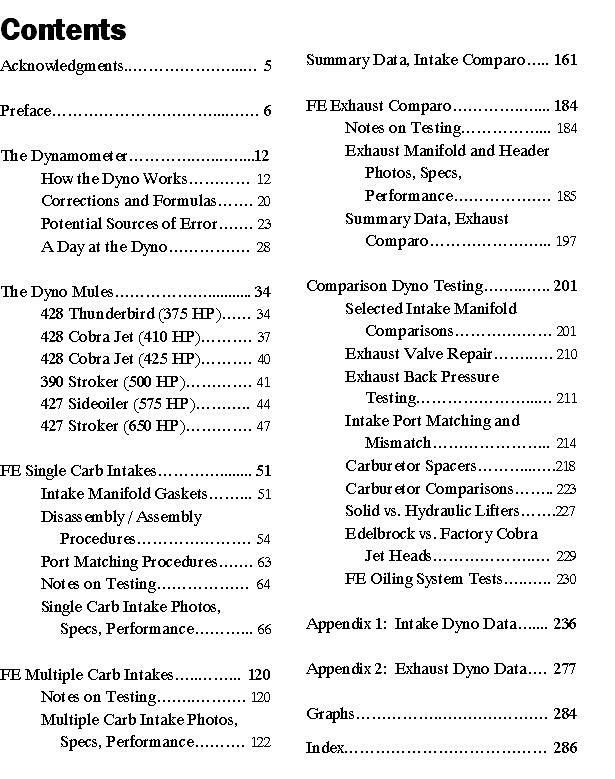 The book also features dyno results from a variety of other component tests, a part by part description of each dyno mule, and a detailed technical overview of the SuperFlow 901 dynamometer. 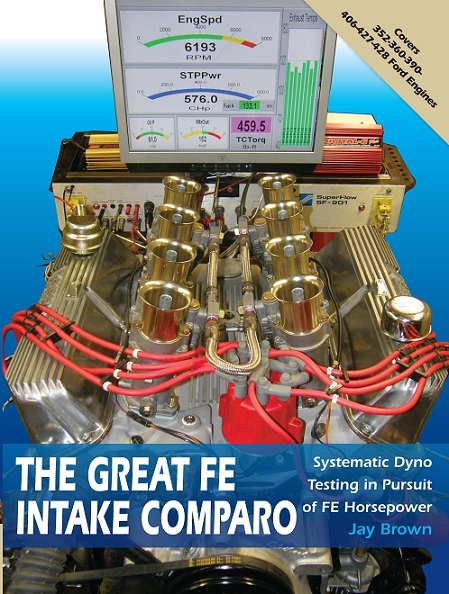 This book provides the FE performance enthusiast with hard data from actual dyno test results, which can be used to make intelligent equipment choices for an FE street/strip engine.